Few properties that give people a perfect blend of luxury, beauty and convenience. However, this luxury home located in Utiva is one of such. It is well-positioned in a geographically rich hilltop community, a mere 5-minute drive from the coastal Highway and quietness of the environment compensates for the noisy outside world. This property has first-class community amenities like well-maintained internal road network, gated entry and exit, beautiful landscaping and garden, street lighting, proximity to schools, shops and transport facilities. This realty is a showcase residence in Costa Rica, a unique location close to the Pacific oceans where regular fantastic ocean views can be sighted. Aside from this, the rainforest vegetation and wildlife species are sights to behold! 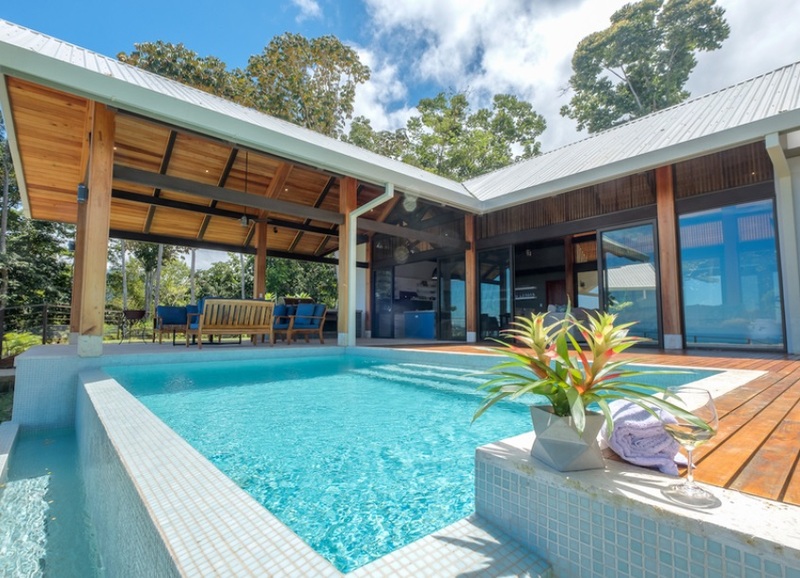 The property is bordered by a private nature reserve with ancient rainforest and a seasonal stream that provides a natural wildlife environment for monkeys and tropical birds with the Pacific Ocean breeze blowing and providing natural fresh air to property occupants. The realty affords the opportunity to have the good sight of the renowned Whale’s Tail reef formation at Marino Ballena National Park, an iconic National Park located close to the property. The property is designed to maximize the fascinating outdoor features and each room in the home features stunning ocean views, while garden lounges are just perfect for sitting back and enjoying the sights and sounds of both the rainforest vegetation and ocean view of the Southern Pacific. With a total construction area of 424m sq and a property size of 6982.66m/1.73acres/0.70 hectares, the property is large and spacious enough. A 65” wall-mounted Sony LED TV with Bose sound bar in Family Room Interior rolling and locally sourced hardwood ceilings. 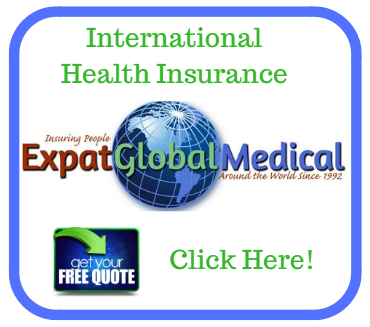 LED lighting, electric outlet, switches, ceiling fans, washable sofa are U.S. imported. It has four (4) bedrooms, 4.5 bathrooms with a covered parking lot for two cars with locally sourced cedar woods, cabinetry, furniture and other wooden materials. The bamboo architecture accent that beautifies the hallway is a blend of traditional luxury and durability. Further specifications include: BBQ area and outdoor sink, cable satellite TV, alarm system, hot tub, washer dryer, a 1,500 gallon/6,000 liter backup water storage tank and 2 solar water heaters. This structure is a top-notch exterior majestic edifice. Each room in the home affords the opportunity of watching the fantasying and amazing Southern Pacific Ocean views. Apart from this, Energy efficient salt water pool with infinity edge and glass tile are eye-catching and body-soothing. The structure is a carefully built layout with a separation that demarcates the open entertaining public area Northern wing from the private living quarters of the building\’s southern wing. The unique polished covered bamboo corridor is a blend of the external natural feel and the luxurious exotic interior that binds the private quarters and the more general section of the structure. This is certainly a kind of property that will consistently keep friends and families looking forward to visiting. The finely finished and perfectly furnished interiors are reasons why this realty should not slip off you. The laundry room has a whirlpool high capacity washer and gas powered dryer. A large utility sink and storage for laundry work is also present. The bathrooms have Travertine countertops and natural slate wall tile and the master bedroom, a large solid free-standing marble bath hub. Each of the four bedrooms has well fitted ACs and Premium pillow top mattresses and also opens up to the amazing ocean views and sites with cross ventilated breeze. The master bedroom has a 43” wall-mounted Samsung LED television and a durable sound bar. The Chef-designed kitchen is made of local hardwood cabinetry. Both the interior kitchen amenities and exterior ones make the kitchen the dream of every twenty-first kitchen luxury lover. It has a large dehumidified pantry 36” 6-burner gas, Kitchen Aid cooktop with exhaust hood commercial style, Frigidaire freezer and refrigerator, Commercial style kitchen sink and faucet, garbage disposal, Kitchen Aid dishwasher 36” built-in gas Blaze Frigidaire convection oven and other amenities that make the kitchen hitch free and fun. The Southern Pacific Coast of Costa Rica is the place to be. 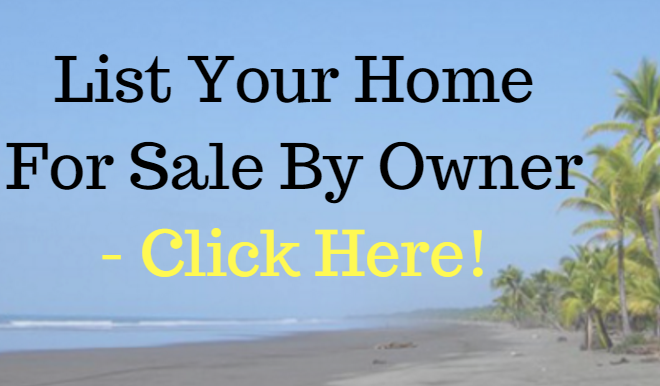 If you are in search of a luxury property in Costa Rica, well, search no further! This property is a just perfect! This property is selling for an incredible USD 1,495,000.00 give away price. For serious potential buyers, if seeing means believing to you would you mind us taking you for a personal tour around this beautiful and luxurious edifice.